Print the page. Laminate the pages if you want to reuse them. Have the children roll a die. Have them identify the number on the die. 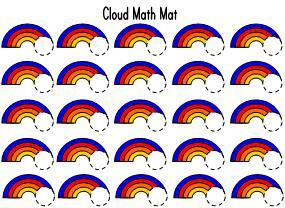 Then have them put the corresponding number of cotton balls on the the circles to make clouds. The one who fills their page first is the winner.